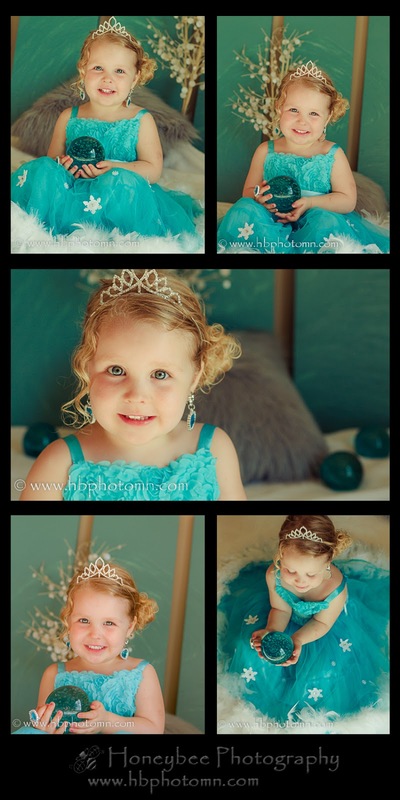 My client and her Daughter, Delaney, have seen Disney’s Frozen nearly 50 times. So it was no surprise that Delaney wanted her birthday party theme to feature Elsa, her favorite character from the animated film. Being a fan of the movie myself, I jumped at the chance to photograph the little beauty when approached by my client of doing a Frozen inspired photo shoot! 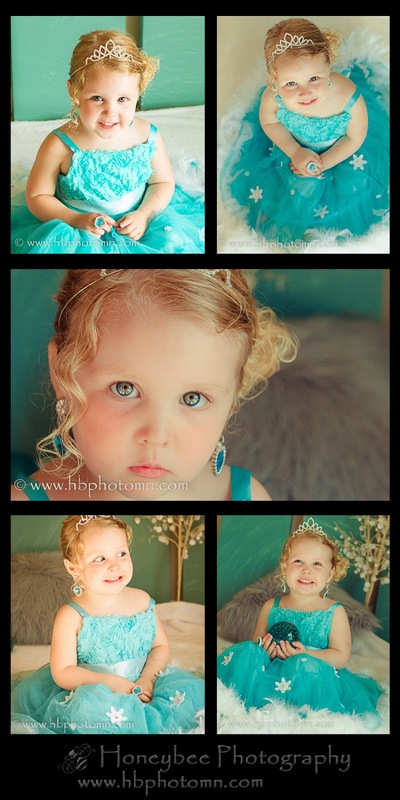 The challenge: the photos needed to be taken in June for her daughter’s 3rd birthday invites which were to be mailed later that month. That meant no ice castles or snow to frolic around in. The gorgeous dress my beautiful Queen Elsa is wearing was make by LittleTreasure4U. It was a pretty quick and very fun mini session. We have been photographing Delaney since birth and this was the most excited she has been at any of our sessions! 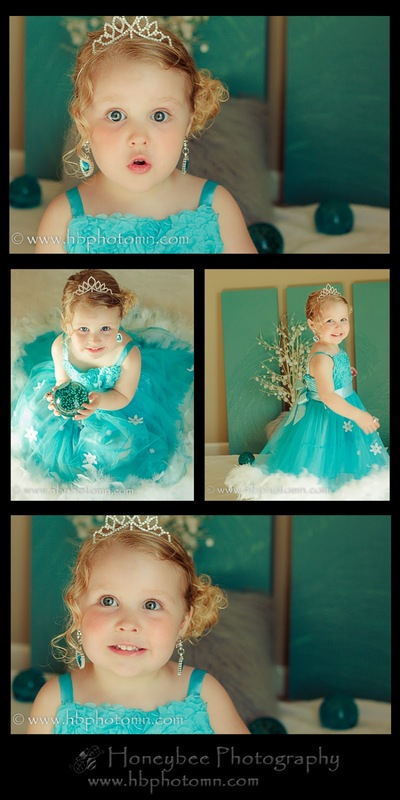 She was so excited to model the Elsa themed dress for us that it put her in an unbelievably great mood for the shoot. She couldn’t have enough lip gloss on either! So, do you wanna build a snowman? But that does not mean that you shouldn’t start thinking about your senior photos! You have seen other senior pictures from Honeybee in your Facebook newsfeed and liked what you saw, so why not call now through June 22nd, 2014 to book your senior portrait session in June, July or August and we will provide you with discounts and free stuff! 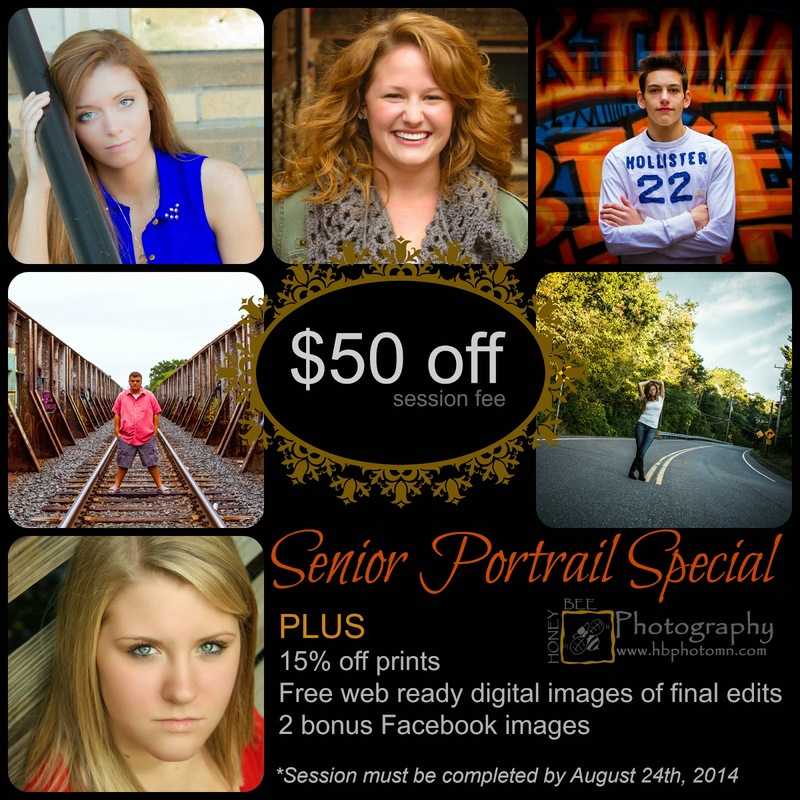 $50 off your session fee. EXTRA BONUS - If you mention you saw our Senior Portrait Special Blog when you book, I will also throw in 16 wallets for free (of one pose). To take advantage of this offer, be sure to call Melissa at 651-260-7475 by June 22nd. We’ll find just the right date to fit you in, and talk about what location is right for you. It’s a perfect way to kick-off summer and the start to your senior year! Hurry, sessions are filling up fast! *Your session must be completed by August 24th, 2014. Cannot be combines with any other offer. To see more of our senior portraits, just take a look through our gallery on our website or on our Flickr account. To contact Honeybee Photography, drop us a note here on our Contact Me page or call Melissa at 651-260-7475. We look forward to hearing from you!